A dental crown is a restorative option that both reinforces a tooth and covers unattractive damage and decay. Sounds great, so what’s the downside? With traditional crowns, your dentist must make an impression, and then you wait… for a week or more while your crown is constructed. Then, you must return to the office to have the crown fitted. We have a better option. 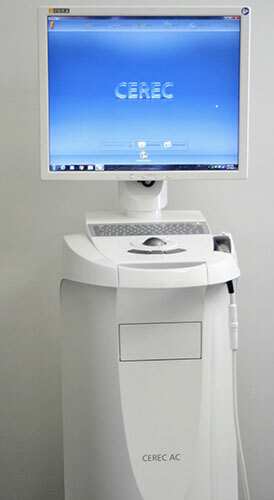 Dr. Shin is certified to provide CEREC same-day crowns. The CEREC system is an integration of a digital camera, advanced software, and an in-office milling system to fashion teeth-over implants, including bridges and veneers in addition to crowns. This set-up means that Dr. Shin can have your new crown ready and installed in a couple of hours instead of a couple of weeks. All it takes is a single office visit. Find out more about same-day CEREC crowns by giving us a call at (203) 625-0301 now. Call us at (203) 625-0301 to schedule today! Fridays and weekends by appointment.